WeatherTech® DigitalFit™ Floor Liners is where Technology and All Weather Protection meet! A patent pending High-Density Tri-Extruded (HDTE) material allows for a rigid core for strength while offering surface friction to the carpet, as well as tactile feel to the surface! Advanced surfacing creates channels that carry fluids and debris to a lower reservoir with further channeling to help minimize fluid movement while driving! 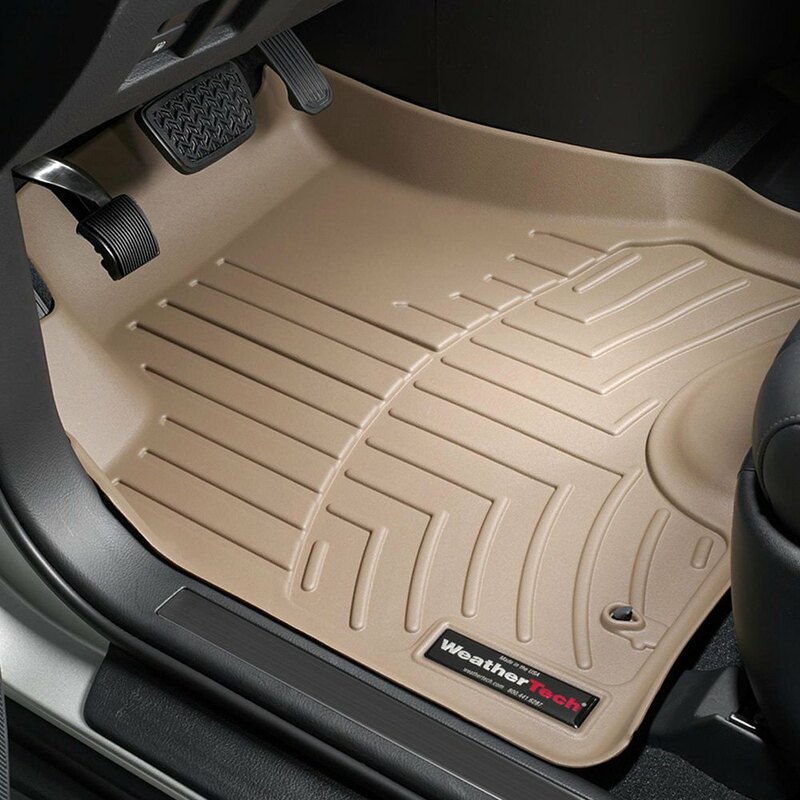 Once fluids become trapped in the reservoir, away from shoes and clothing, they are easily removed from the WeatherTech® Floor Liner DigitalFit™ over the door sill…no muss, no fuss! Rear DigitalFit™ Floor Liners incorporate many of the same design features as the Front DigitalFit™ Floor Liners. Rear DigitalFit™ Floor Liners (where offered) are either one-piece or two-piece depending on the vehicle application. Rear Floor Liners DigitalFit™ are manufactured from a proprietary custom blended TPO (thermopolyolefin) that is not only wear resistant, but also remains flexible under temperature extremes. Please take your old floor liners out before installing your new . Please note that the on-screen color representations are not necessarily precise representations of actual product colors due to variance in monitor calibrations.